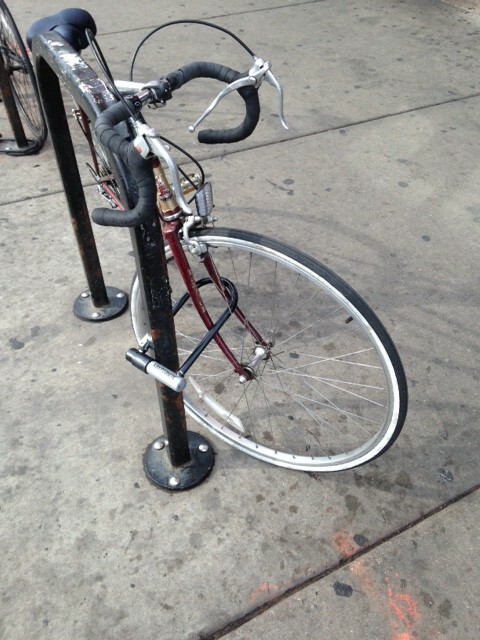 I am continually surprised that people do not know how to lock up a bike. Of all the ways you could get this wrong (or at least more right) this has got to be the worst. I almost wanted to just take it apart and leave it for them. Almost.